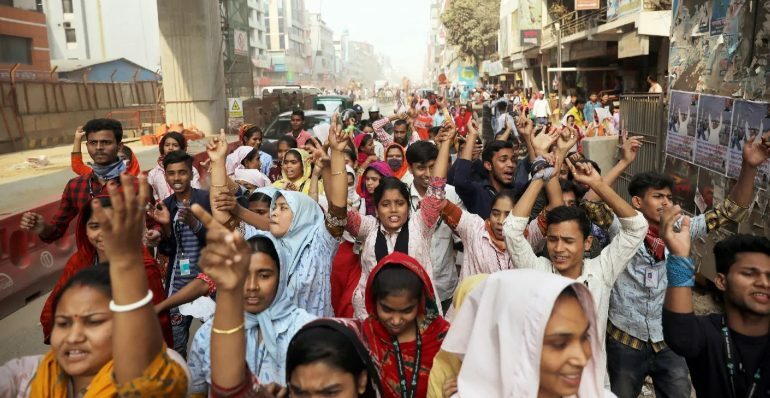 Thousands of workers in Bangladesh took to the streets in January to protest the recent inadequate wage revision in the garment sector. When police in Dhaka started firing rubber bullets and tear gas into the crowd, one worker was killed and many others were injured. 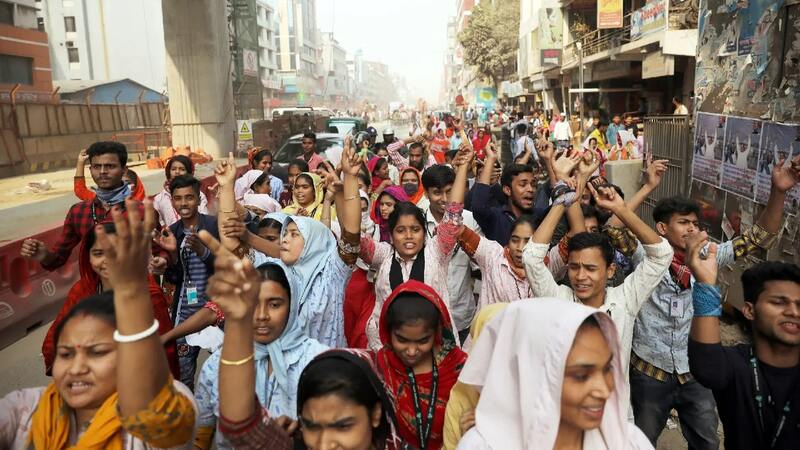 Despite a climate of fear and intimidation beyond the already limited freedom of association in Bangladesh, especially during the 30 December national elections, workers and unionists have repeatedly voiced their discontent during the revision process and from the time of the minimum wage announcement. During the wage revision process, Clean Clothes Campaign requested international brands and retailers to publicly support workers’ wage demands. A range of brands did express hope for a fair minimum wage revision in which workers’ voices would be heard, but the brands failed to support a specific amount. Since the announcement and implementation of a minimum wage significantly below any workers’ demands and any living wage assessments, these brands have failed to speak up. In February, Labour Behind the Label supporters and others took action outside the Bangladesh High Commission in London, calling for arrested workers to be released without charge from jail, and for the Bangladeshi government to end the repression of workers rights and cease the violence. More than 40 people attended and we delivered a joint letter from the TUC, UNISON, War on Want and Labour Behind the Label to the commissioner. We have since had a follow up meeting to discuss our demands.